Personalized umbrellas are an easy and effective way to promote your business. 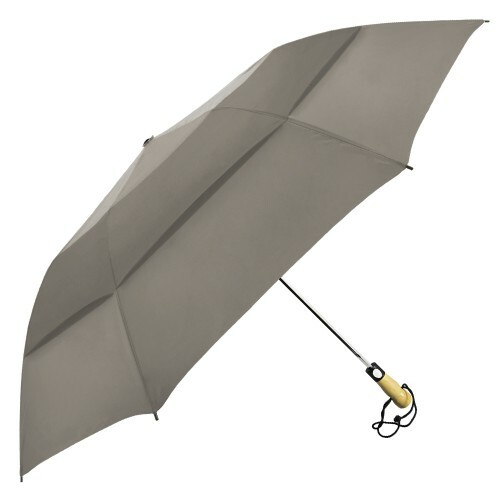 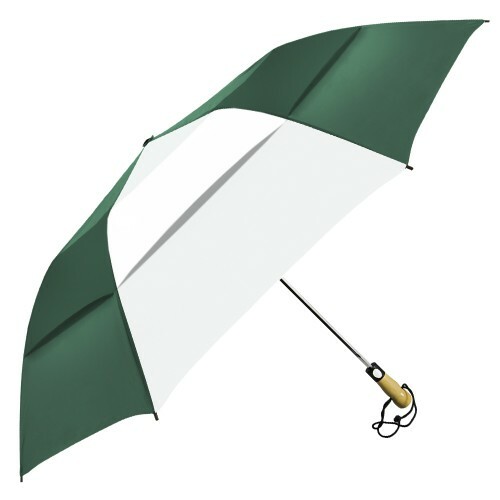 This 58” arc automatic opening customized umbrella has all the features of a large golf umbrella but folds to a compact 22”.With fiberglass ribs and an extra strong six-sided chrome shaft, this promotional umbrella has a vented canopy, wooden handle, and comes with a matching fabric case with a shoulder strap. With 19 colors to choose from, you are sure to find one that makes your logo pop!